Jun. 11 2015 about TDL Egg Hunt in May. May. 30 2015 about An Imperial Eggs, Bonnets and Fashion Show, Anyway Easter at TDS. May. 17 2015 about Before Ready To Go To Tomorrowland. May. 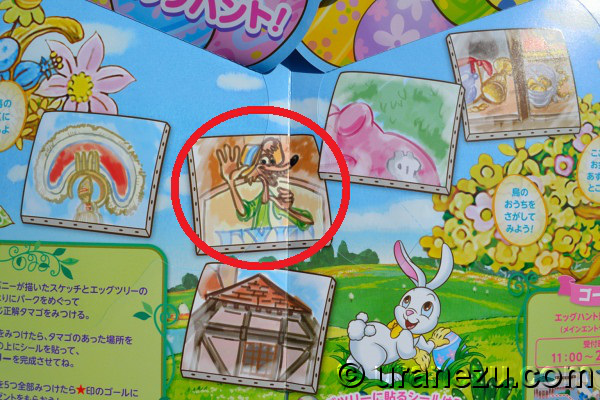 06 2015 about TDL Disney's Easter and APR Egg Hunt. May. 03 2015 About Now Knew This and Knew That, then Will Know Deeply! Apr. 28 2015 About Coming New Port of TDS is Arendelle. Apr. 12 2015 About Which is Which? Part 6. Apr. 04 2015 about Welcome! Treasure Comet from galaxies. In recent years, Tanabata the Japanese traditional summer day became an annual event in TDL and TDS. In Actually, Tanabata is only one day event in 7th July which wish and celebrate a Milky Way rendezvous of Hikoboshi man (Altair) and Orihime princess(Vega). This myth couple allow meet each other only one this day in a year. The Mickey and Minnie dressed as Hikoboshi man and Orihime princess. The beautiful exotic dress is one of a reason of popularity. Anyway TDL and TDS take place only two weeks event called “Disney's Tanabata Days” as a romantic occasion which started 24 Jun to 7 July. In TDL, we can enjoy a beautiful huge Tanabata decoration and bamboo tree. A bamboo tree is an essential item in Tanabata. Writing your wish (or wishes) in a paper, then hang up the wishing card on the bamboo tree. There are wishing cards of Disney pals high above the bamboo tree, so let's check them out. Mickey's wish always thinking for us, it's touching. Minnie is also warming wish. They never write "hope win a lottery" or "want go to Alaska DCL". Each wish is so beautiful and characteristic. My best moment, it's time to share Pluto's wishing card with you! In this year, it's uneven paw. He's pretending! Or he must have written with not good paw! In TDL, you can write your wish on this bluish special card! 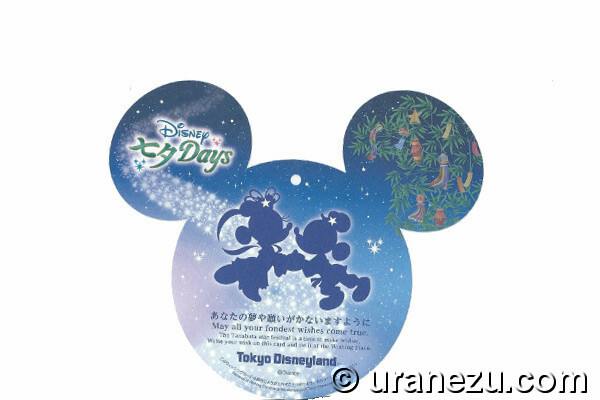 TDS also have Disney's Tanabata Days the two weeks event! Head to "Wishing Place" the special Tanabata area in American Waterfront. Only can see the Duffy & ShellieMay's paw-shaped card at TDS. TDS wishing card is cute pink. I hope they'll spend a really happy gathering on Tanabata day. Come and write your wish! Want to bring back some memory of the Tanabata Days? These special event merchandise can only purchase during this two weeks. Then satisfy your sweet tooth! Warabi mochi and Brown Sugar Mousse with souvenir cup. 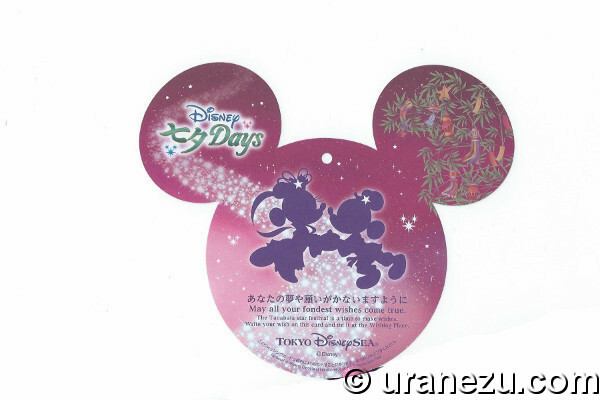 I hope you enjoy Tanabata Greeting at TDL in this year. TDS greeting use "Wishes" song mainly, it's so touching. Unfortunately, I missed the video, so please enjoy other geeks recording. Goodbye May, Hello June! But TDL still in Easter! Today I'd like to spoil May Egg Hunt the fee-charging game. This Egg hunt for an expert is changed the hidden place of eggs in every month. The expert course is 1,030JPY. Message 1. Find me on the bridge. Message 2. Here! Near a carousel. Message 3. I'm surrounded a lots of treasures. Message 4. A place to save money. Message 5. Search my bird house. Seeing the two clues of message 1 and picture 1 we think it can be found easily. But slightly tricky one than we thought. Because the egg hide on the back side of the Adventureland gate, and it buried in other exotic artworks. In TDL, never built "The Great Piggy Adventure". (I hope it will!) So, only one place where to go is "ToonTown". The word "treasure" use only two merchandise shops in TDL. One is "Kingdom Treasures" the renewal shop once was called "The Aristocats" in Fantasyland. And another store is "Pirates Treasure" in Adventureland. As for me, the new shop is still "The Aristocats" the merchandise store. So let's go to the store in Adventureland. Yes, here you are! The skull-egg is before the "Pirates Treasure". Following the Message 2, you'll reach at Fantasyland then find a reddish stone roof shops. Let's look into the shop window. Oh, you are here, Jim-Crow egg! This characteristic fox will only be found in Critter Country. But there is no egg at the face of Splash Mountain. So let's find it another place of the attraction exterior. There it is! Egg but bird! This pretty blue bird-egg is located at exit roof of the attraction. This is my best hidden egg in May. The perfect egg at the perfect hidden place in Critter Country. I really appreciate they designed and built superbly this attraction and area. That's why they could put the egg without reducing the theme. So let's go to goal point and take a bag charm as a reward for Expert course, and egg key chain for Standard course. I know a hot topic is a meaning of Port Discovery without Storm Rider nowadays. But don't forget, TDR still in Easter. So today I'd like to introduce the very first time Easter event in TDS. Two big decorated eggs welcome you before Mediterranean Harbor the first port. Other good photo opportunity from Mediterranean Harbor. Is that a shop owner's direction? "McDuck's Department Store" the big merchandise shop is decorated heavy fake flowers. They never run dry during the Easter event about three months and not need a pruning cost. Right, Mr. Scrooge? And a street in front of the shop has some special garland. The next time I visited, they were changed. The big flower basket is a mark the entrance to Easter Fair of New York. You can see how big the basket is. It took place at Water Front Park in front of Hotel Hightower aka. Tower of Terror. There are dotting seven ports themed eggs. A cover with a vivid color textile egg from Lost River Delta. The vague designed Pluto egg from Port Discovery. (Why do they use some landmark like Storm Rider-thing for this egg?) The middle Genie blue egg from Arabian Coast. (Lots of bijou eggs reminds me musical Genie than the animation Genie.) And porthole Donald egg from Mysterious Island. A mosaic Ariel egg with Herald the seahorse topper from Mermaid Lagoon. The topper original is decorated to a lamppost at Mermaid Lagoon. The original is a greater made than the fake topper on the egg. And last is jeweled Mickey Egg. It's beautiful but this egg looks an Imperial Easter egg. The place is New York, but egg is not traditional American Easter egg. So let's just guess that the egg is one of Harrison Hightower III's spoils! It's perfect! They also displayed decorated cars and egg and flower topiary. The above head dress of Minnie statue is closer to a sombrero than an Easter bonnet! Duffy's Easter Fair from Cape Cod. I always felt the below photo location is something uncool relative to other great Disney's design quality. Cute cute cute...but not my thing, sorry. New and special show called "Fashionable Easter" perform during Disney's Easter at TDS. You'll find it easily in wired world, from the official TDS website said, "Artists from four of the Tokyo DisneySea themed ports have gathered for "Fashionable Easter," a glorious and beautiful pageant themed to Easter fashions." And story goes almost come to blows over about who is a top fashion leader, then Mickey suggest the everyone is great then all happy ending something like that show. I think it's little bit far from Easter. Anyway, Disney's Easter waiting for you at TDS! So why don't you explore the entrance of the "Tomorrowland"? yes "It's a Small World"! The building color of ISW in TDL is very different from DL or WDW. The original outer was same blue and white base color in TDL, but it was changed in around 1998. The year of 1998 was also a closure year of "Small World Restaurant". The buffeteria-style restaurant didn't have a windows to the attraction ride area like WDW. But there was a quiet and cozy restaurant. There were character breakfast with pooh and friends, I think. Ah, it's my childhood memory. Now the restaurant area was completely replaced for "Pooh's Hunny Hunt" zone. There were a stage in front of the building at that time. I remembered some birthday show of Mickey and Donald at this stage. Now there is a pretty fountain. During the Easter event, there are many ISW theme eggs. TDL ISW has a great marionette clock. I hope you found your country! Let's go to the inside. And another wonderful in TDL ISW is the panoramic wall paintings at the loading area. It is overwhelmed by these design from Mary Blair's concept art. It's so great and beautiful to surround them. TDL has an automation gate in every boat ride attraction. Look at the movie on 06:00 the South Pole area, I think TDL is most beautiful. The diamond dust like blue lozenge objects is turning only in TDL. I love this icy air. Before you go to see "Tomorrowland" at a movie theater, why don't you voyage to "It's a Small World" the key attraction? You'll find something great and new at there. The Easter holiday was over in the world, but Disney's Easter the special event keep going to end of June. So Today May first, but I'd like to show you Disney's Easter at TDL. The park is decorated many colorful eggs, ruffled ribbons, and bunny. Let's look around the special photo decoration. 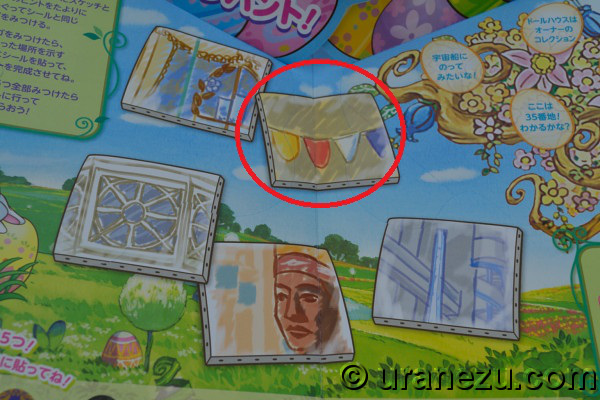 It's interesting for me to search a new part of a decoration compared from the last year's one. The above is the right side hub photo location. And most of them are same as last year's Easter event. The counterpart of Dale put a cabbage on his head. The vegetation is real vegetables. But don't worry! So fresh and beautiful vegetables vegetation is great fun to watch. I show you April Egg hunt in TDL annual fee-charging game. Let's start at the beginner course egg hunt. First paid for the map as 510JPY, then let's explore the park with a marking on the map. Found the first hidden egg, it's Olaf at Adventureland! He drifted down to "Swiss Family Tree House". So we can put the Olaf egg sticker on the right place. In April, we could find two beginner course hidden eggs in Fantasyland. One is a Wich from the upper side of "Snow White's Scary Adventures". And another one is Dee & Dum in front of Queen Heart's Banquet Hall the restaurant. Here is one hidden egg from Tomorrowland. It's located at a window of “Planet M” the merchandise shop. Lovery Mickey & Minnie eggs in ToonTown. It's difficult to take the best shot of them. Next I show you the Expert Course Egg Hunt in April. This difficult course is 1,030JPY. We followed the short message and picture as a clue which painted by a bunny. Message 1. A doll's house collection of the store owner. Message 2. Want to ride a space vehicle? Message 3. Come and find on 35 street. Message 4. Come on a Tire Sale. Message 5. Where is Seamstress? Before we go, we have to check them. It's a StarSpeeder 1000 egg at “Star Tours”. Next is, the Messaage 1 (A doll's house collection of the store owner.) lead to a hidden place. There are many doll's house in a window of “Home Store” the merchandise shop. And look at the window flame! It's just same as the clue picture. The doll's house of the window, there is a tiny flower pot and...Yes! It's second egg! I remember there is a gas station in ToonTown, the Message 4 (Come on a Tire Sale.) might be in there. Message 3 (Come and find on 35 street.) is easy, we only have to go the 35th street! The above "Crystal Arts" shop has "35" plate. A drape of curtain and window flame are said this is the right hidden place. The last egg was very difficult for me. It's easy to find the hidden place, but I couldn't see the egg! The Message 5 (Where is Seamstress?) also find behind the native American statue, but where's last hidden egg? What is your favorite part at the park? Some people think an exciting attraction experience. Someone might be a spectacle show, and of course many people are thinking about can't-stop park snacks. Hearing some BGM at TDS. You think it's not exciting, is it? I admit it's a plain, but after reading a below my clarification, I bet you're park experience will be more wonderful. Because Disney park isn't just a playland, it is theme park. So let's go to find a background or theme in every corner at the park! The first, I'd like to show you is a BGM at "Jasmine's Flying Carpet" the attraction. This open air attraction has very exotic music use mainly oud and kanun. These gorgeous numbers are perfect with flying magic carpet. Especially one BGM is always struck me by the sweetness. The song is instrumental of “Out of Thin Air” from "Aladdin and the King of Thieves" the sequel to the feature Aladdin movie. To be honest, the film was not so great, but this duet by Aladdin & Jasmine within the film are splendid quality. The song sung first by Jasmine to Aladdin, it's totally reverse of "A Whole New World". The music are so beautiful itself, but the most fabulousness of the song is a following of "A Whole New World" and is formed in concert with "One Jump Ahead(Reprise)" the original numbers from Aladdin movie. The bittersweet melody with transparent sincerity lyrics of their love is really touching song. When you'll soar on the magic carpet, you'll feel Aladdin & Jasmine's neat and clean purely love which was built through a various obstacles. That'll add magical spice to your experience! The next is, I'd like to show you is Mediterranean Harbor area BGM. These area lively and cozy music with organetto or mandolin suitable for the area which face to the beautiful harbor. One of the BGM with this great panoramic scenery at Mediterranean Harbor is always moving my heart. The song is instrumental of "La Festin" the end credit song ("Ratatouille Main Theme") from "Ratatouille". I think this Ratatouille song is new BGM at this area since "Ratatouille : The Adventure" the fantastic attraction has opened in July 2014 in Disneyland Paris. Yes Mediterranean Harbor is totally different from Paris, but please remember an impressive scene of Remy's very first arrival at night Paris. And the feeling of him at that time. This Mediterranean Harbor is also the very first theme port where a guest stepped in the park. Yes you can sense the throb of Remy's excitement. When you'll be more touching with this BGM when you'll see the breathtaking view at Mediterranean Harbor. Yes, This is my favorite moment at TDS. Just quick information for you! An expansion and new port of TDS is Frozen theme port! Thank you for waiting! I'm sorry that I posted a new shop at Tomorrowland in last week before I shared the answer of Which is which quiz. So, let's check which Country Bear Jamboree belongs to Magic Kingdom at WDW and Tokyo Disneyland! It's really interesting thing to me is WDW's Buff, Max, and Melvin have more thick coat than TDL's. The other bear also more hairy than Japanese. The three of TDL is more cartoon-like face, especially Max's appearance is so distinct from WDW Max. TDL Max looks like a teenager different from WDW's cool Max. The every characters of Country Bear Theater in TDL speaks Japanese, but some numbers of she show are sing by English. And the three of them on the wall also speaks fluently Japanese all the time. The inside of the theater construction is quite same, but WDW are bigger than TDL. We can enjoy the delicious curry and rice of the same sponsor at Hungry Bear Restaurant. Enjoy the wonderful show and spicy curry at TDL Country Bear Theater & Hungry Bear Restaurant. That's all the which is which quiz. Thank you very much for keep watching the series. I really love both of the facilities between WDW and TDL. I recognized how wonderful thing that I can experienced Disney park not only USA but also Japan. Each same construction are beautiful and has an individual lovable characteristic. It's really beautiful and proud of ourselves. I really want you to come and see every detail of TDL! I will left the all of the quizzes at "Pick Up Obsessiveness" section! Please go to see them again. So I'd like to share with a new shop in Tomorrowland, it named "Treasure Comet" the merchandise shop. The shop itself is a renewal of "Image Works" the composite photograph with Disney friends. The location is next to (Goodbye) "Captain EO" or (Do I have to say, Hello) "Stitch Encounter" the attraction. Mysterious objects welcome you at the entrance of the shop. The inside the store has a wide range of Stitch. But don't go away so quick! "Treasure Comet" has a quite interesting theme, not only for Stitch lovers. We can find a main art on the wall. The painting show us how did the store open. A strangely round materials showered down on the Earth. Every creature wondered this magical ball, then our ancestor worshiped it. A long long time has passed, then we started the exploration! After long and of all sorts examination, the contents bought to the shop! It's really great to see not only the contents but also the shell from the galaxies. The other picture in the store show us many intriguing encounter of the world. Is it nice store isn't it? "Treasure Comet" is waiting for you in TDL! Let's find a Hidden Micke!